Every place your eye lands is spectacular. Huge windows lining one wall frame views of the one of the must emblematic buildings of the city. Tabacalera Jazz sits in Reforma Avenue, which is home to the Mexican capital’s most prominent office towers. Tabacalera is also home to an agglomeration of turn-of-the-century mansions and apartment complexes that reflect a more decadent period in the neighborhood’s history. Tabacalera also benefits from its close proximity to Mexico City’s historic centro and the spillover effects from Mexican billionaire Carlos Slim’s efforts to clean up and restore the old city center. - An in-person welcome, so we can answer any of your questions about your Remixto home and neighborhood. - Dedicated concierge assistance at your fingertips, including airport pickups, in-the-know recommendations for local cultural events, and tickets to the latest and greatest the city has to offer. - A treasure trove of advice and tips for getting the most out of your stay. Local shopping, dining, nightlife, sightseeing: we don't recommend it unless we go there ourselves! 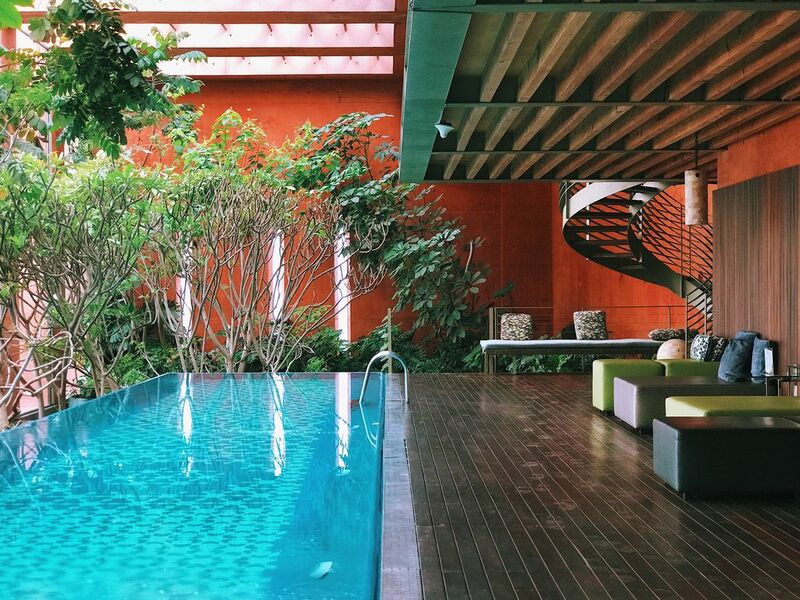 - A modern, metropolitan oasis that reflects the unique aspects of Mexico City, plus hotel-quality linens and toiletries in every home. We are Remixto Metropolitan, the premiere vacation home specialist in the urban heart of Mexico. Our stylish, contemporary homes in the center of bustling city life are hand-selected for their unique character and ability to transport our guests to a truly local Mexico City experience. 1. The home is available for check in after 3pm. Check out is before 11am. Depending on availability of the home, we are happy to accommodate an early check-in. 2.- Reservations may be booked up until 11:00am local time on the day of check in. Reservations received after 11:00am local time may be subject to cancellation if they cannot be accommodated. The house will be ready up to six hours after a reservation confirmation has been received. 3. At check in, you will be required to provide a valid photo ID and sign our renters agreement outlining our terms and conditions. A copy of this will be forwarded to you upon request. 4. For stays longer than one month, additional security deposit will be required. For stays longer than three months, the last month of rent will also be due at check in. 5. Complimentary maid service is included for reservations over 7 nights (1 maid service per week). Additional services are available upon request. 6. Smoking is strictly prohibited inside the home. WELCOME HOME! We’re Remixto, a new way to experience Mexico. We create unique, immersive travel experiences that celebrate the diversity of Mexican life: the vibrant global energy of CDMX, the colonial and Mayan history of the Yucatán peninsula, the stunning beauty of the Gulf Coast and Riviera Maya. We believe real-world travel experiences shouldn’t have to skimp on luxuries. That’s why our one-of-kind vacation rental homes come with world-class amenities and personalized travel services that allow you escape, indulge, and explore the rich culture and history of the place we love to call home. When you stay in a Remixto home, you get to experience history. We handpick every home for its unique, colonial charm and stock it with modern, first-rate amenities and handcrafted, local comforts. With the privacy that comes with every one of our colonial homes and our 24/7, customizable concierge services, you can truly relax and live just like you’re at home—except better. Want to immerse yourself in local culture? Whether you’re looking to wander through cobblestone streets and colonial buildings, indulge in authentic late-night street food, check out weekend flea markets, relax on the beach, or all of the above, our team of experts can help you discover the hidden gems of Mérida’s historic neighborhoods. My wife and I enjoyed our stay in Reforma 27 - 608. The apartment was as advertised and both the apartment and building exceeded our expectations. We plan to return to Mexico City next year and would like to re-book the apartment for two months. Perfect location and great amenities! We spent 4 nights in this great apartment and loved it. It was walking distance to the historic center of Mexico City and had a beautiful view of a monument. The pool, hot tub, gym and seating area on the 25th floor were amazing! I loved being in the infinity pool watching the planes come in for a landing over the skyline. The apartment was spacious, had a big water filter (which is important in Mexico), a shower with good water pressure, a big bed, and everything else we needed. Totally recommend it!